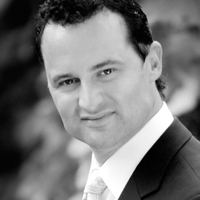 Simon is a technical visionary successfully leveraging technology to provide efficient and extremely effective results. Simon has a broad technical and strategic background, skilled at working with corporate leaders and staff to introduce new technology, and translate complex business requirements into robust cost-effective solutions. He has an exceptional ability to communicate complex technical information to business and non-technical audiences. Simon has helped companies of various sizes from Fortune 500 to mid-sized, owner managed business. Simon once worked with the largest heating oil company in the US, a billion dollar public company on the NYSE. After the Enron collapse, Simon help develop SOX compliant inventory tools to manage and track tens of millions of dollars of fuel, of various types, in numerous locations; including over 2,000 trucks and hundreds of tanks (many shared). Simon once automated a multi-currency consolidation process for the largest container-leasing company with 18 currencies in 24 countries. Each regional controller submitted their reports in standardized formats for automated consolidation. Taking a near, full-time $80K job to a process an admin clerk completed quickly and independently. While working at an ERP development firm, Simon was the lead implementer sent in to complete the biggest clients. He worked throughout the US including; ten years in New York, a year in San Francisco, plus time in Austin Texas, Connecticut, Boston, and more. Simon began programming in 1982 and has been obsessed ever since. His main focus has been software applications for businesses and their accounting and operational departments. After graduating Carleton University in 1995 with a Bachelor of Commerce, he articled with BDO where he specialized in data auditing. Once he received his Chartered Accountant designation he quickly got back into software by joining an ERP development company. In 2002 he founded a software company specializing in reselling Sage products and Excel based applications, including reporting packages and activity tracking tools. Simon’s applications qualified him to become a Microsoft Certified Partner and Sage Development Partner. He has created both custom solutions and retail software sold to other Sage software users. In 2008 Simon moved into web based software development. He now builds web applications that work on any device. "My experience having the privilege to work with Simon was the best in my career. Simon was able to turn a near disastrous accounting software situation around on a dime and started from scratch. What another company couldn't do in almost a year of customization was abandoned and Simon had the company on track in 2 weeks. Not only is he a highly skilled programmer but he has the advantage of being a CA and understanding what is required to have controls in place to provide the tools to make a company profitable. He can provide what you need in a very streamlined fashion understanding various stakeholders' needs. "He is personable and willing to deal with and instruct individuals at every level of the organization. There are lots of companies willing to attempt to deliver some semblance of what you may need for big bucks with no guarantees but i have no doubt Simon will get you the tool you need in a timely manner and with ongoing support. " "Our firm has enjoyed working with Simon and feels that he has not only added value but will be a valuable asset to our team now and into the future!" "Simon is the consummate professional who always strives to provide the highest level of service to his clients. He is an excellent problem solver with an innovative approach to providing solutions."